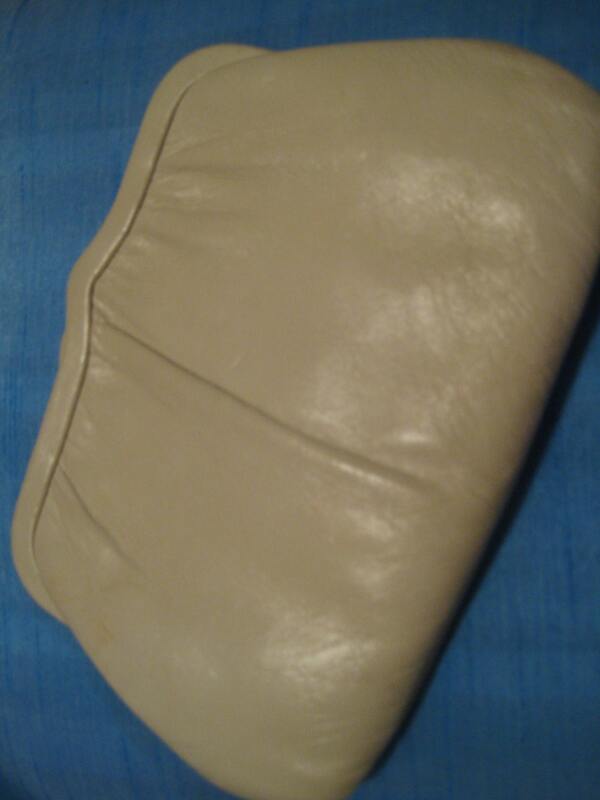 Lovely soft leather taupe clutch with long chain for shoulder bag option. Leather wrapped metal frame has a spring closure. 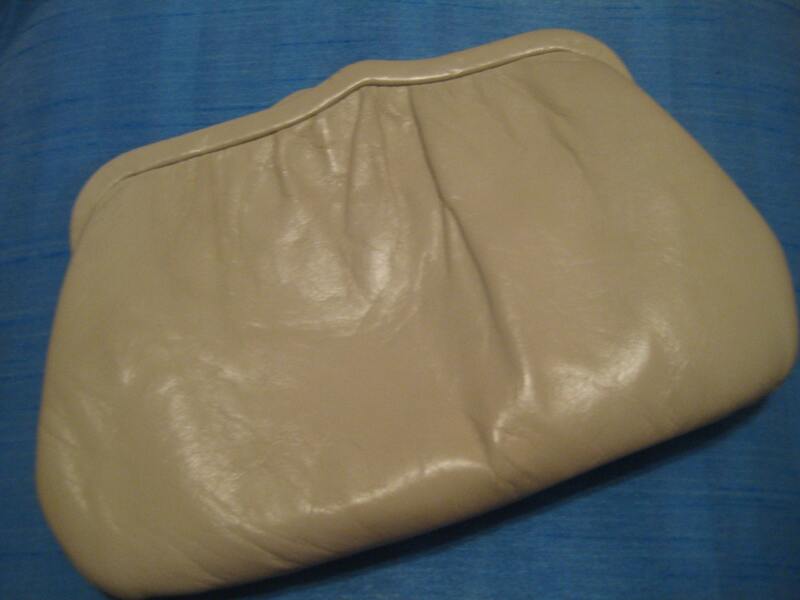 Brown polyester satin lining with one patch pocket. No label. Great shape. Chain has a 15 inch drop. 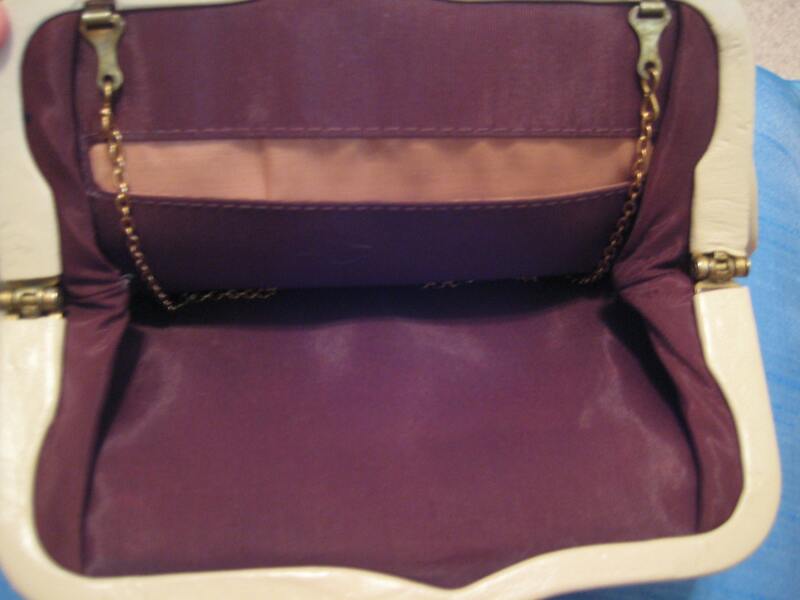 Bag is 9 inches long at widest point and 6 inches tall. 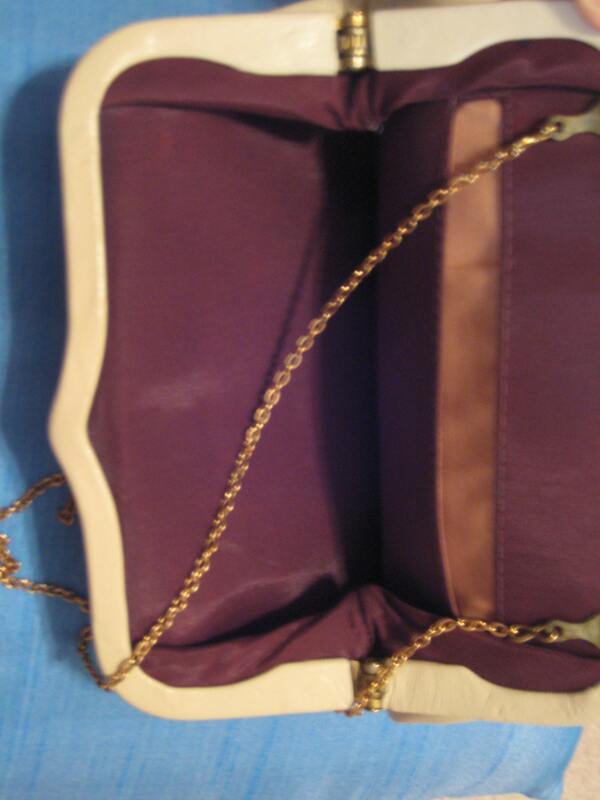 Great price for a multi purpose and roomy vintage bag.